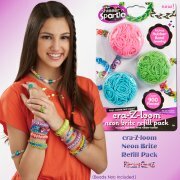 cra-Z-loom Ultimate Refill Pack - Now you can make even more funky bracelets, necklaces rings and other cool accessories with the cra-Z-loom ultimate refill pack! 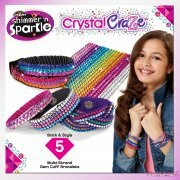 Suitable for ages 8+, design and make colourful rubber band bracelets, rings, pendants and more! Create single, double or triple loop rubber band combinations. 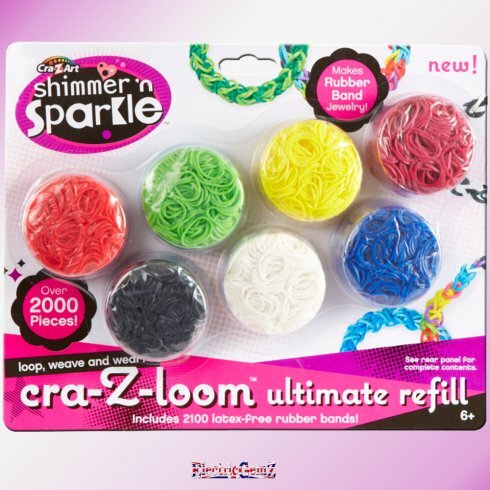 Now you can make even more funky bracelets, necklaces rings and other cool accessories with the cra-Z-loom ultimate refill pack! 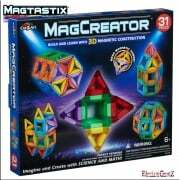 Suitable for ages 8+, design and make colourful rubber band bracelets, rings, pendants and more! Create single, double or triple loop rubber band combinations. This is a Refill Pack, containing over 2000 assorted rubber bands in a variety of rainbow colours. The full range is right here at ElectricGemZ. 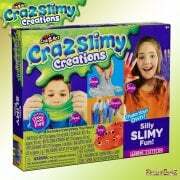 Search in the box above for cra-Z-art.